The XReality Center at The New School and the Fashion Study Collection at Parsons partnered in Spring 2018 to create an immersive learning experience featuring a 1920s evening coat attributed to the designer Paul Poiret. The coat is one of 4,000 garments and accessories which are part of the Parson’s Fashion Study Collection. The prototype project focused on creating an immersive experience showcasing one of the garments. The experience allows students to get up close and study a precious and rare garment, learn how it is made and its historical significance. The project is a demonstration of how immersive technologies will transform learning. To create the experience we used photogrammetry and 3D scanning to capture the texture and geometry. Using both data sets we compiled them in post-production to create the final 3D model. 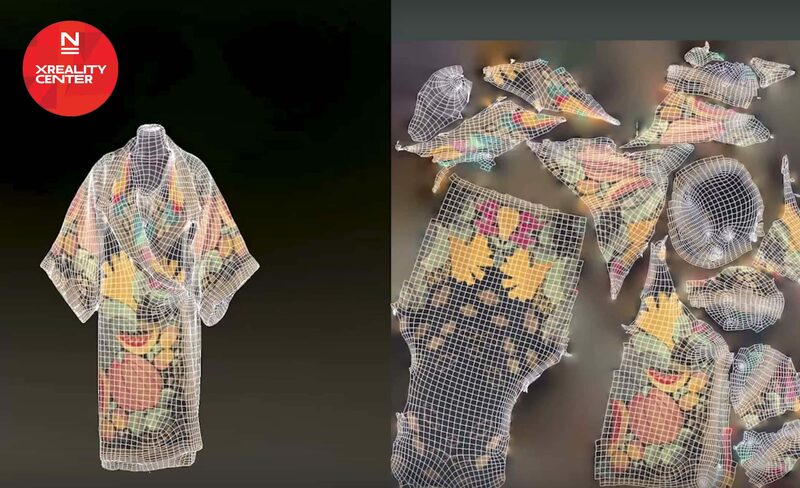 Watch the video below to learn more about the making of the Parsons Fashion Study Collection Virtual Reality Experience. 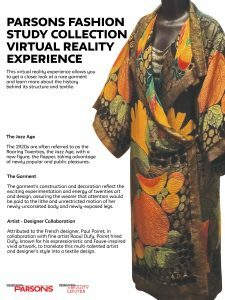 The Parsons Fashion Study Collection Virtual Reality experience, was exhibited at The Parsons Festival in May and is available to check out at The XReality Center.